Laura Richards, a political science professor, and her husband Ben Richards, an astrophysics professor, unexpectedly find themselves at the center of a dark conspiracy after they adopt Chris Lumire, the orphaned son of Laura's friend Marian. Following the bizarre circumstances of Chris's birth, Laura and Ben uncover clues revealing an intelligent force surrounding Chris. 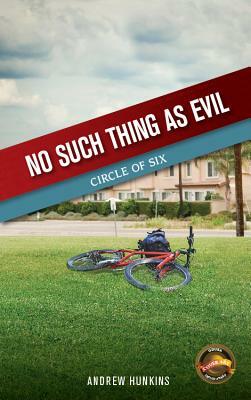 Meanwhile, the Circle of Six--a powerful clique of men with otherworldly abilities--are sacrificing kidnapped young women and relying on advanced global technology in their efforts to locate genetically unique fetuses before birth. The group's painstaking plan unfolds on the unsuspecting mother of the first fetus. Worlds collide when Laura and Ben get in the way, pushed by Chris's inner force with--evidently--a plan of its own. From the ivy-covered walls of academia to submerged caves, get caught up in No Such Thing as Evil, the first installment of the Circle of Six trilogy.